Jewish Women’s Foundation (JWF) members experience the rewards of convening with other funders to create change in the community and the world. JWF members have varied backgrounds and experience, yet share a strong desire for women to grow and learn in new ways. The organizational structure is simple. Every member has a vote and each vote makes a difference. 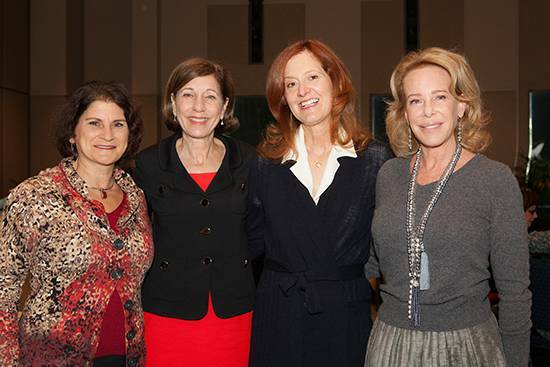 View photos from the recent Jewish Women’s Foundation Annual Meeting. choose your level of involvement. Simply recommend a grant from your donor advised fund or family foundation for your first installment or you can review other ways to give. Become a member of the Jewish Women’s Foundation by filling out the form below. Contact Sarah Schatz, Philanthropy Officer, or call 858-279-2740 for more information. Together we have an opportunity to directly impact the issues confronting Jewish women and girls in our community—in a collaborative, proactive and strategic fashion. JWF welcomes you as a member and greatly appreciates your generous gift. Check (Mail to 4950 Murphy Canyon Road, San Diego, CA 92123) Credit Card A one-time grant from my fund at JCF I would like to recommend a recurring, grant annually for five years from my fund at JCF.